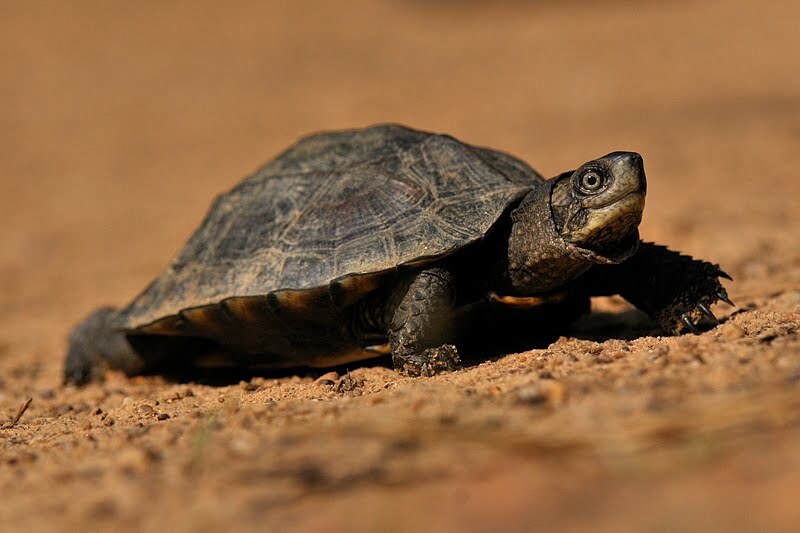 The Indian Pond Terrapin is a still water species found mainly in South Asia and it is a widespread resident in Peninsular India. 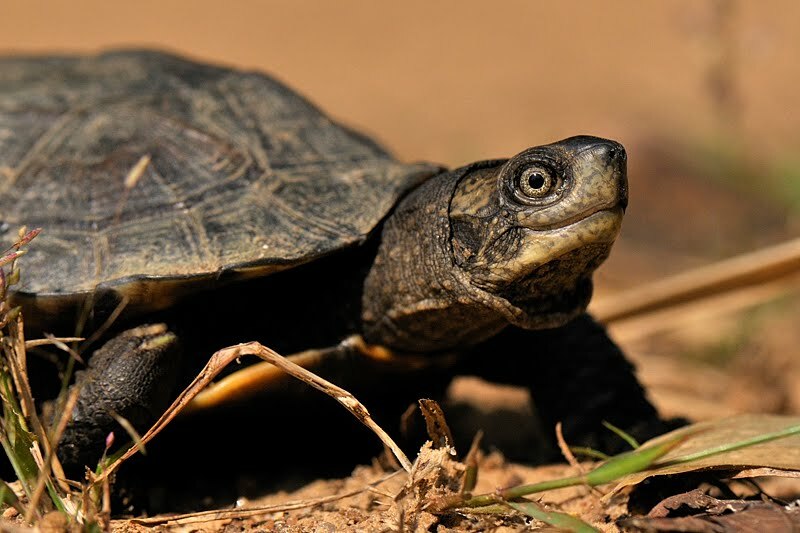 It is unfortunate that like most Turtles found in India, the conservation status of the Indian Pond Terrapin is “near threatened” category because of the demand for their meat. We have seen them many times in the lakes and waterholes during our Jeep Safaris into the Indian forests. This time around we got very lucky. 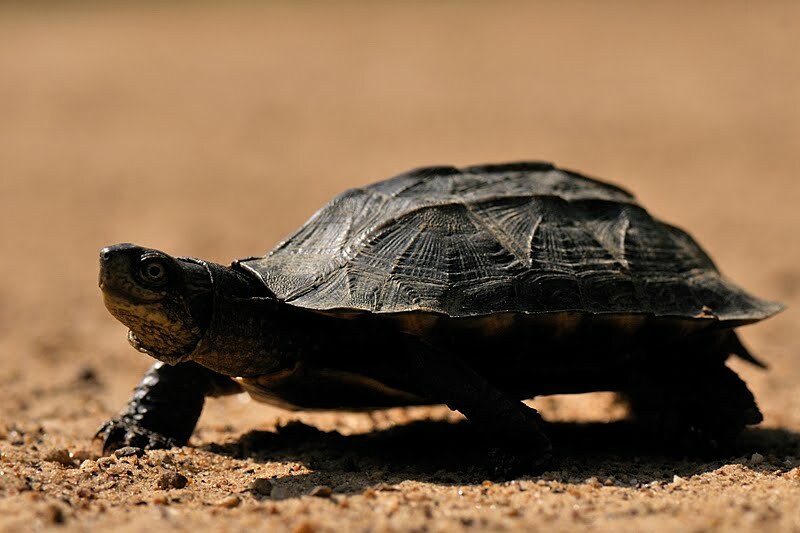 We were returning back from our Jeep Safari into the Badra Wildlife Sanctuary when our naturalist spotted this small terrapin crossing the road and we got a great chance to photograph this tiny wonder at close quarters. Here’s a collection of images from that lucky sighting. This was one of the first times we tested the 105mm f2.8 macro lens on the D300. Nice sharp shots. I guess the lighting was perfect too. I love it when the light is good enough for macro lens without having to use supplementary lighting. he is a cute little guy. you new lens works very well! fantastic shots. He is sure enjoying the attention. Your lens seems to have a pro behind it. Nice. Brilliant selection Thomas. Love that second one. Wonderful crisp sharp series of pictures. As always great work. Looks like the macro lens complements your other equipment quite nicely! Great shots Thomas. The 3rd one is my fav. How beautiful with that orange bokeh! The eyes are riveting! I always enjoy turtles. These are very beautiful shots. I could not imagine eating them Thomas but then there are so many starving people there, I am sure anything goes. Beautiful shots as always. Great shots! Your IPT looks like a real character and that really comes through in the close-ups. I think you captured the glimpse of a smile from the turtle. Sharp & beautiful photos! 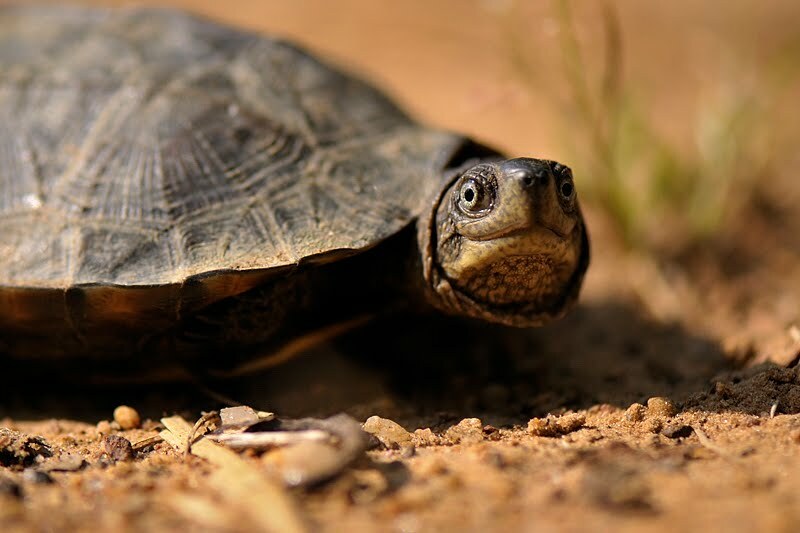 Excellent shots, Thomas, of this wee turtle. Thomas nice to see you on the floor 🙂 excellent shots One of my favorite lenses well done! Les tortues sont fragilisées partout , en France il existe des cliniques pour les réparer , celle que tu nous montres se retrouve dans les zoo , avec ses pointes diamant . great macros w/an appealing shallow DOF – well captured! Great use of angle and dof. excellent with good sharpness and details! wow! fantastic! and to think u saw it crossing a road! 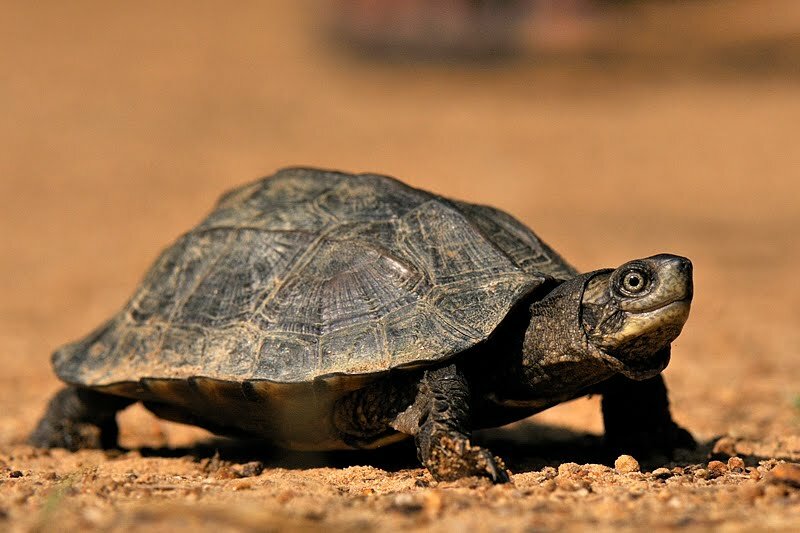 btw, what is the difference between a terrapin, a tortoise and a turtle??? am asking this on behalf of my son! Beautiful portraits! Masterly job, Thomas! Very nice series, details and sharpness are excellent! beautiful contrast of light, cute! Very crisp images, beautiful as always! Wow…that second shot is absolutely amazing!!! Thomas: What a neat little guy. as always amazing animal shots … keep on the good work Thomas!